It is a business benefit too. 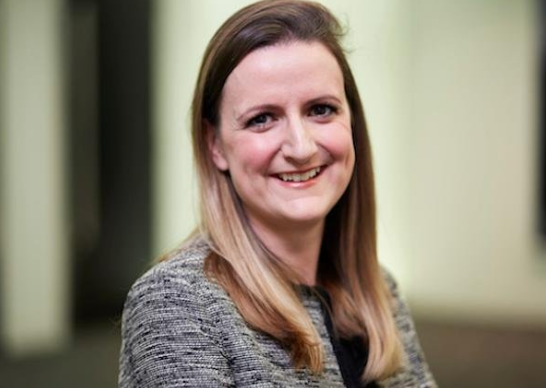 Mary Peterson, Head of Talent & Learning from one of Attune Flex Jobs Clients Addleshaw Goddard (AG), tells us how and why AG has embraced agile working – and why homeworking is key. There is ample research out there for all firms to adopt a flexible or agile working policy but we know many firms are still slow to embrace this change. For AG the impetus lay with the introduction of their homeworking policy. And it has already reaped benefits. The new homeworking policy was developed largely in response to employee demand but AG are quick to point out this is not just an employee benefit or part of an employee value proposition (EVP). This is also about benefits to the business: increased productivity, employee engagement, competitive advantage. As employee requests to work from home increased, which was raising the levels of homeworking anyway, AG wanted to implement a policy to formalise and legitimise the change and ensure consistency across the wider business. “Employees views towards work are changing. Increasingly, employees view work as an activity that they do, rather than a place that they go, therefore allowing people the flexibility to work from home is both an important attraction and retention tool,” says Mary Peterson, Head of Talent & Learning at AG. In embracing this approach, AG is moving away from people needing a “reason” to work from home as this implies that there are good and bad reasons for it. “Of course, some people require flexibility in their roles to balance their home commitments (to fit around childcare etc), but there are others who take advantage of home working to avoid commuting every day, or because there are certain tasks which they find easier to do from home where there are potentially fewer distractions,” says Peterson. The openness of AG’s working policy means that homeworking does not need to be justified. With a few exceptions, everyone at AG is entitled to work from home once a week. This includes lawyers as well as business services. In some cases, a more frequent arrangement is agreed with the team and manager. As always in a law firm, client needs always come first, so a homeworking arrangement is only approved where it will not have a negative impact on client delivery. “In most cases, we have found that this is not an issue and the quality of delivery can be maintained (and often cases improved) while allowing employees some flexibility in where they work,” says Peterson. For team managers, the impact also needs to be considered, but again Peterson says there are many examples of managers working from home without supervision levels being affected. To ensure the policy is embedded, teams are encouraged to create their own homeworking guidelines, based on the firm’s policy, so that everyone in the team is bought in and knows what is expected of them when they are working from home. “This helps to flush out and pre-empt any potential issues that might arise, ensuring that homeworkers maintain a good level of communication when away from the office and are as easily accessible at home as in the office,” says Peterson. She adds that teams that have introduced homeworking have cited various benefits, both personal and professional, with many employees and managers taking advantage of the policy. In AG’s most recent employee engagement survey, 80% of respondents said they were trusted to work flexibly (an 8% increase on the year before). Lack of trust between employee and employer is often cited as a major failing for flexible working, but these results suggest they are getting this right. With any cultural changes and new ways of working, firms have to make changes across the full employee lifecycle and AG is no different. The firm’s performance management system focuses on outputs and business value. While lawyers are required to meet a billable hours’ target, they are also expected to set and meet business and personal development objectives and a review of their performance against these objectives forms a key part of their annual appraisal. Within business services, the same objectives-led approach is taken. AG is addressing this through education and the sharing of positive stories. And in situations where homeworking isn’t working as well, for example, where there is a communication issue, AG has supported managers in having positive conservations so that this can be addressed. Creating a policy with a consistent approach to homeworking across the business, has been important as it sets out the rules of engagement without being too prescriptive. Peterson thinks that one of the biggest benefits of AG’s homeworking is more engaged employees. “Our engagement survey consistently shows that our flexible employees are our most engaged, so this is something we were keen to encourage,” she says. But she cites other advantages too: teams that have been able to show a direct link between homeworking and increased productivity; and savings on office space brought about by a combination of homeworking and desk-sharing for business services employees in the firm’s Leeds and Manchester offices. Going forwards, there are no plans to revamp the homeworking policies, but work will continue to embed the policy. It will also always be subject to review as the business world is constantly evolving as the needs of clients, business and employees change with it. AG has joined the increasing number of law firms formally promoting agile working. Whether a fully prescriptive policy or a one-pager – the benefits to employee and employer of embracing flexibility are measurable and plain to see: high staff attraction and retention rates, low absenteeism, increased productivity and greater employee engagement. But it is perhaps put best by Peterson herself: “Allowing homeworking is one of the ways in which we help our employees to facilitate a better work/life balance, protect their wellbeing and have a very positive impact on their quality of life,” adds Peterson.